"Sister, how is it possible for me to not listen to you? You got me to fully absorb the Icesoul, so why wouldn't I listen to you? I've already fully absorbed the Icesoul you gave me," Jian Chen smiled helplessly. He possessed the Chaotic Body, so the rate he could refine energy was incomparable to ordinary cultivators. In this period of seclusion, not only had he fully absorbed the Icesoul, he had even refined an Origin realm Xuanhuang beast's energy crystal. "Really? Have you really absorbed the Icesoul so quickly? According to protector Shui, even I need at least several years to fully absorb an Icesoul. How did you do it in a few short months?" Changyang Mingyue suspiciously questioned him. However, she seemed to think of something very soon. She appeared enlightened as she said to herself, "I understand now. It must be because of brother's extraordinary talent, which is why you could absorb the Icesoul in such a short time. This is also explains why brother's strength has been increasing so rapidly." Jian Chen smiled but did not give a detailed explanation. He said, "Sister, I've stayed here for long enough. I plan on returning today. As time goes on, the next wave of invasions from the foreign world grows near. I must return to the Tian Yuan Continent to make preparations, but I want to see protector Shui before I leave. I have a few questions I want to ask her." Changyang Mingyue also understood the precarious situation of the current Tian Yuan Continent, so she did not urge Jian Chen to stay. She said, "Brother, once my Profound Ice Body matures, I'll come to the Tian Yuan Continent to look for you. We can fend off the invasion of the foreign world together. Let's go, I'll take you to see protector Shui. Her strength is unfathomable where even I can't sense how great it is. If there's anything you're unsure about, feel free to ask her." Jian Chen obviously met protector Shui without any obstructions under Changyang Mingyue's personal guidance. Very soon, he saw her again in the same room of ice. "Speak, what do you have to ask this king? I can answer some things you should know seeing how her majesty is your sister." After bowing to Changyang Mingyue, protector Shui turned her icy-cold gaze toward Jian Chen. Jian Chen bowed to protector Shui and got straight to the point, "Senior, our world's currently sealed, preventing the cultivators of this world from reaching the Origin realm. It's also lead to no Origin realm experts for the four races since ancient times. May I ask if this seal was cast down by senior?" "The world may be sealed, preventing everyone from reaching the Origin realm aside from species with powerful bloodlines and natural spirits of the world. However, you walk a different path, where you don't need origin energy to reach the Origin realm. As a result, the seal cannot stop you. Since it's no problem to you, why are you sticking your nose into matters that you don't need to care about? You cannot interfere with these matters," protector Shui coldly responded. You're Read Chaotic Sword God Chapter 1434 online. If you find any errors or translatation mistakes, please let us know so we can fix that as soon as possible. You're reading Chaotic Sword God by Author(s): Xin Xing Xiao Yao. 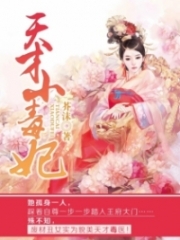 This novel has been translated and updated at LightNovelsOnl.com and has already 2946 views. And it would be great if you choose to read and follow your favorite novel on our website. We promise you that we'll bring you the latest novels, a novel list updates everyday and free. LightNovelsOnl.com is a very smart website for reading novels online, friendly on mobile. If you have any questions, please do not hesitate to contact us at [email protected] or just simply leave your comment so we'll know how to make you happy. Current Time is 19-Apr-2019 20:58:32 PM.